The exciting and glamorous 7th Daddy Daughter Ball is coming really soon. 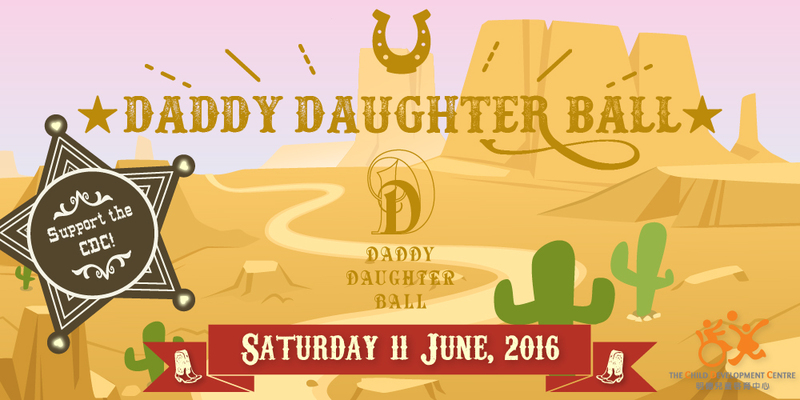 On 11 June 2016, the CDC celebrates the everlasting bond between Dads and their daughters at this fundraising celebratory Ball, held at the Ballroom of Grand Hyatt Hong Kong. All of the proceeds of this special event will go to support the CDC in continuing to provide quality professional programmes and services for our children and families. Don’t forget that your support matters – whether you want to offer a sponsorship, make an in-kind donation, or help us out with your expertise, every little bit can help make this year’s Daddy Daughter Ball a sensational success. Remember, your help can change lives and brighten up the future for our children! The theme for this year’s event will be Wild West. For more details about the event, check out our Daddy Daughter Ball page!